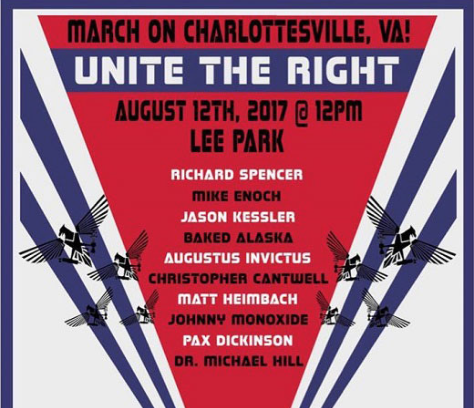 August 12th’s “Unite the Right” rally was, from its inception, a tragedy. A tragedy of violence. A tragedy of people unable to cope with their lives and therefore looking for a fitting scapegoat. Before, during and after the Rights’ “unification”, a central theme emerged. Spewing from white supremacist Twitter feeds and other social media outlets was the well-worn but nonetheless disturbing, “if Israel can have an ethnostate, why can’t we?” The fact that the Zionist State would be singled out as an example of the quintessential ethnostate by racists and anti-Semites is disturbing enough. The enthusiasm of white supremacists towards the Zionist project should give pause to all, both Jew and non-Jew. Though I’ve long despaired of “Israel’s” leaders ever mulling over the legitimacy of their state experiment, the question still stands. Why do so many far-rightists, racists and ethnic-nationalists love “Israel”? And why do so many of them still hate “ethnic Jews”? Jewish “ethnicity” is a recent invention. Ethnic commonality among Jews is nowhere to be found and neither does it have to be. People who insist of defining Jews as this shade or that are missing the point, often willfully so. Race in Judaism has, from the start, been a non-issue. Ethiopians and Yemenites. Hungarians and Yekkes (German Jews). Colors are irrelevant to Jewish state of being. Race is conspicuously absent from the equation. The “racial Jew”, who was noticeably absent from the historical record till after the Napoleonic Wars, was a necessary invention of European nationalism. It was the creation of the ultimate “Other”, the most useful whipping boy. Nationalism, with its emphasis on the group’s inherent superiority, survives on a diet of opposition. The “Racial Jew” was European nationalism’s most convenient instrument. By racializing a faith, one that was already a none-too-loved minority, you create a perpetual enemy, constantly breathing new life into national life. That racists anywhere would buy into an eternal enemy in the form of the Jews isn’t surprising. That Jews themselves, following Zionism’s lead, would do the same, is. Many Jews have subconsciously bought into Jewishness as ethnicity or race, defining themselves with definitions borrowed from 19th Century eugenic “scientists”. The jargon has undergone various updates but the overall message remains the same. The ultimate litmus test of what a Jew is, is in the genes. Arrangements like these are convenient for everyone. Convenient for Zionists because it suddenly doesn’t matter what they believe or how they act. Convenient for bigots because they have a ready-made enemy to haul out when things fail to go their way. White supremacists and Zionists use the same terms to define Jews because it’s expedient. For white supremacists/charlatans like David Duke, Richard Spencer and others, it gives them a much-needed reason to hate. For Zionists, it justifies their abandonment and subsequent oppression of their ancestral religion. Why follow a religion when the foundation of personal identity is based on (imagined) race?